Anyone tired of seeing the sunny yellow flowers in their lawn? If you have a big yard with dandelions away from a road... and don't use chemicals... you can eat the leaves you weed (or just buy from store). My grandmother made bacon salad dressing on dandelion leaves. Tom Martin, who was at Landis Valley museum for years, HERE made a terrific version, which is in the cookbook and below. 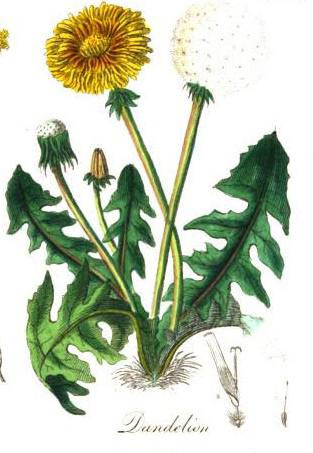 Recently someone made dandelion wine, which was very sweet... so yes it was a good cordial. In April 1861 the Civil War was started when Ft. Sumter was attacked. The tale from the Revolutionary War, below, from an 1831 children's book, describes how a miller trickily did not lie while protecting barrels of flour from the British. Some revolutionary period bake ovens still remain in the Dordogne area. 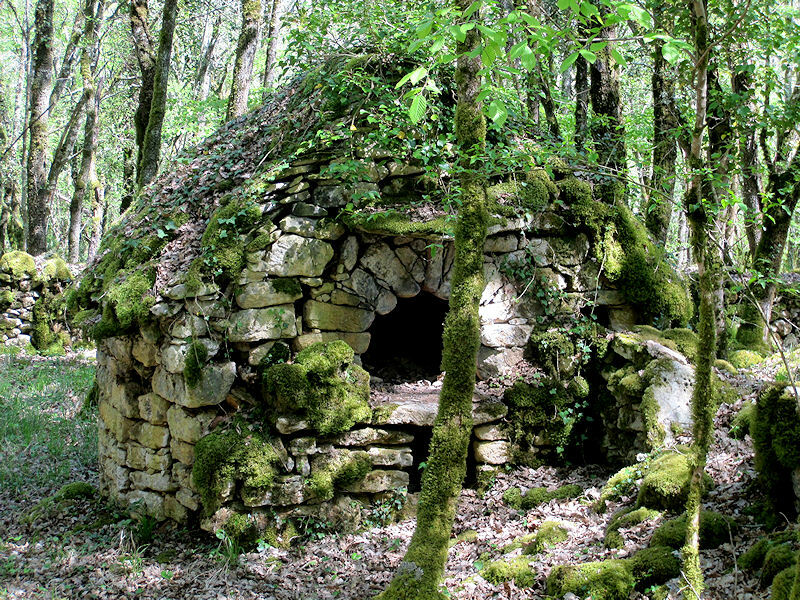 Before the French Revolution began in 1789, rural ovens were owned by the wealthy overlords, then clandestine ovens were built in the woods to feed the peasants. There are several paintings... particularly from the 1600s... showing bird cages in the kitchen and taverns. 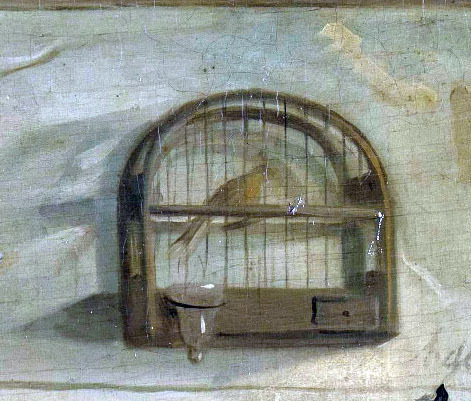 Many of the paintings by the Dutch painter Jan Steen included bird cages. The late 18th cen. cage, left, has a marvelous water glass.